Resonance Capital Review: 20 professionals generate 288% annually? Resonance Capital provide no information on their website about who owns or runs the business. The Resonance Capital website domain (“resonance-capital.eu”) was privately registered on July 13th, 2016. Resonance Capital claim to have launched in early 2017 and be headquartered in Estonia. Further research reveals Maris Landsbergis appearing in Resonance Capital marketing videos. 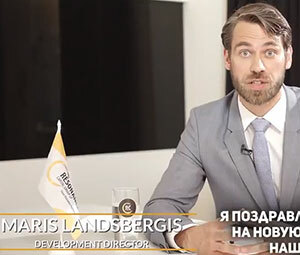 In the videos Landsbergis is credited as Resonance Capital’s “Development Director”. On Resonance Capital affiliate marketing websites, Landsbergis is credited as CEO of the company. Landsbergis speaks with an Eastern European accent. Outside of Resonance Capital marketing material, no information on him exists. Resonance Capital do however provide a pointless incorporation certificate, showing shell company registration for Resonance Fund Management Limited in Vanuatu. At the time of publication Alexa estimate Russia (15%) and Nigeria (12%) are the largest sources of traffic to the Resonance Capital website. Resonance Capital has no retailable products or services, with affiliates only able to market Resonance Capital affiliate membership itself. Resonance Capital pay referral commissions on funds invested via a unilevel compensation structure. Note that referral commissions are not earned on recruited affiliates if they qualify at the same rank as the affiliate who recruited them. Using the same unilevel compensation structure referral commissions are paid through, Resonance Capital also pay commissions on unilevel team ROI payments. Resonance Capital affiliate membership is free, however free affiliates can only earn a 112% ROI on a test $5 deposit (supplies). Full participation in the Resonance Capital MLM opportunity requires a minimum $50 investment. The ruse behind Resonance Capital’s ROI revenue is purportedly the efforts of ‘over 20 professionals with extensive experience in finance‘. Our employees are professionals in the financial market with practical asset management experience enabling them to solve complex problems that are beyond the capacity of newcomers to the global investment market. Naturally there’s no proof of anything Resonance Capital’s purported employees do or don’t do tied to affiliate ROI payouts. Totally proof that the company isn’t just recycling newly invested funds to pay off existing investors. 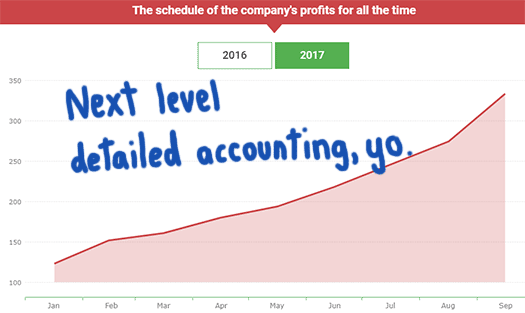 The reality is if Maris Landsbergis and his “twenty professionals” were able to legitimately generate consistent 288% annual ROIs, they’d invest their own money and keep it to themselves. Sharing profit plus taking on the liability of paying pyramid recruitment commissions makes absolutely no sense. Meanwhile the only source of verifiable revenue entering Resonance Capital is new affiliate investment, the use of which to pay existing investors a ROI makes it a Ponzi scheme. Open an account with Resonance Capital and make your first deposit in 5 minutes. Get monthly income from 13.2% to 24.8% for 336 days. On top of that Resonance Capital is engaged in pyramid fraud, with affiliate investors who recruit new affiliate investors directly paid to recruit. This will see Resonance Capital unable to meet its ROI obligations, eventually prompting a collapse. The long maturity periods Resonance Capital affiliates invest under ensures affiliates will not realize the company has collapsed until it’s far too late. This will maximize Resonance Capital investor losses, and also permit Maris Landsbergis and whoever he’s working with to make off with as much invested funds as possible.